These are in amazing good shape for drawings over 100 years old. Thanks for posting. Did Charles, Sr. live to see any of Gale's success? I wonder if Gale Gordon is the only man in history to change his name TO Gale. I don't remember why he changed it. 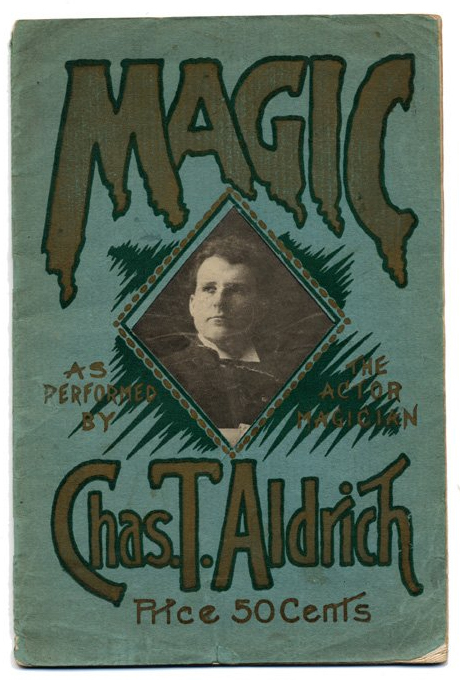 Charles Aldrich has a ring to it. Did Charles, Sr. live to see any of Gale's success? Yes, he died during Gale's Our Miss Brooks run. LOL! When Gale got his big break in The Dancers his father was still a big theatrical name, so I guess it was just easier to avoid confusion and take his mother's stage name. But why "Gale" indeed! Excuse me for sharing my excitement, but after years of trying I finally won not just one, but two things related to Gale's parents on Ebay today! Usually I am outbid by a cabal of quick change artists. It was his mother's idea. She thought by using a feminine-sounding name, he'd get more attention. He took his mother's advice. I'm very impressed by all the photos of Gale's parents. How on earth are you able to find these? For an act that was supposedly the toast of three continents well until the First World War, there seems to be surprisingly little material out there. 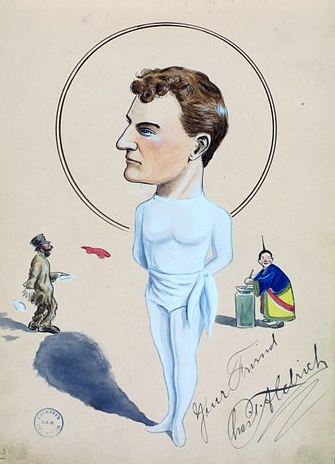 Just found this groovy German theatre poster from 1902! which means your roller skate outfit would be $171 today. And dinner at Maxim's to-night would range from $10 to $20, still a pretty good deal.